Team Yoshimura Suzuki ATV team headed down to Kentucky for the inaugural round of the WPSA PowerSports ATV Championship Tour Saturday. The superbly run event was a milestone in professional ATV racing. BRP (Bombardier Recreational Products) has today announced that it will be re-branding its world renowned BOMBARDIER* ATV (All Terrain Vehicle) to Can-Am™. 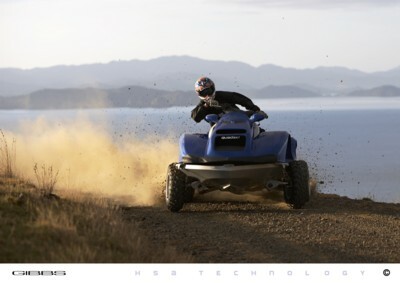 (www.can-am.brp.com). On Wednesday morning May 17th a <?xml:namespace prefix = st1 ns = "urn:schemas-microsoft-com:office:smarttags" />California legislative committee will consider 3 very important bills on the future of off-road recreation in the state. WE NEED YOU TO HELP BY MAKING ONE SIMPLE CALL THIS WEEK! He calls it ‘Paradise Ranch’ for a reason which became obvious as 3 co-workers and I parked the iShock rig and looked down onto 5 acres of freestyle compound perfection. The WPSA PowerSports ATV Championship Tour will award $22,500 in purse monies at each of its 10 races during the 2006 Tour. The purse, which will be awarded in the Tour’s Professional Classes, pays to 20th place in the QuadMX Series and to 15th place in QuadTerrain Challenge. 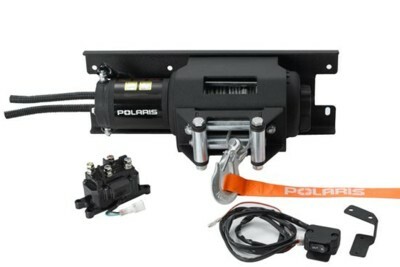 Polaris Industries today announced the introduction of a Polaris brand winch to its PURE Polaris product line of ATV accessories. The new, 2500 lb winch is part of the company's goal to provide ATV enthusiasts with a variety of top-quality products at competitive prices. The WPSA PowerSports ATV Championship Tour released its 2006 Rulebook today. The Rulebook, as well as the 2006 Supplementary Regulations, can be downloaded in PDF format at PowerSportsTour.com. The Tour kicks off the 2006 season May 20 at the Daniel Boone MX in London, Ky.
Michelin announced its new TWEEL combination tyre-wheel. The Tweel was shown fitted to a Segway, an iBOT and Project Centaur, indicating for the first time from the company that the machine dubbed "The Wheelie Machine" has a commercial future.